February 5, 1938: Judy and Fanny Brice, with an assist from Mickey Rooney, are seen enjoying a bounty of food. We know just how staged that was for Judy! The photos are part of MGM’s publicity around Everybody Sing. 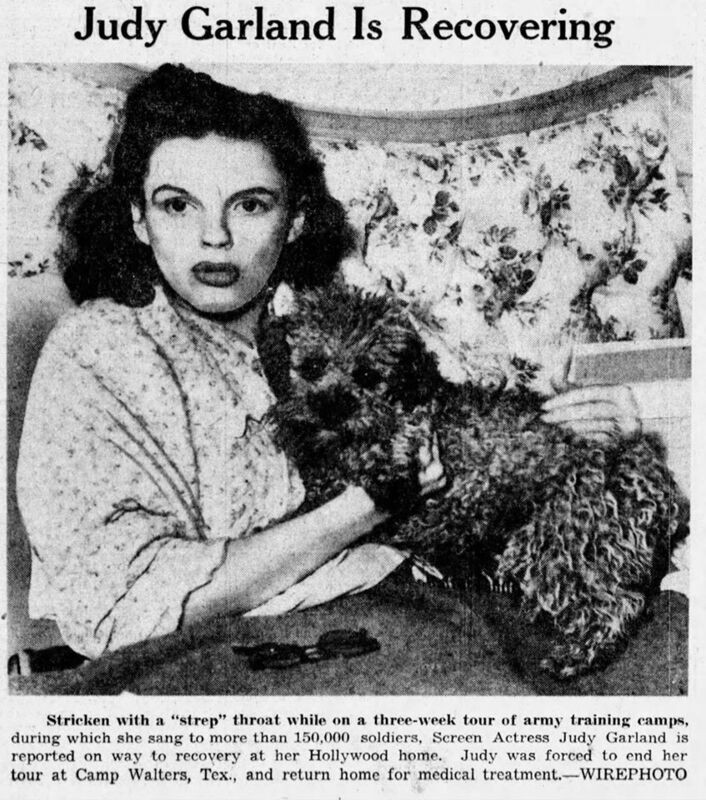 February 5, 1939: Here’s another example of “The Judy Garland Story” that wasn’t quite true, but MGM’s publicity department wasn’t always concerned with total accuracy. Still, these are fun to read. 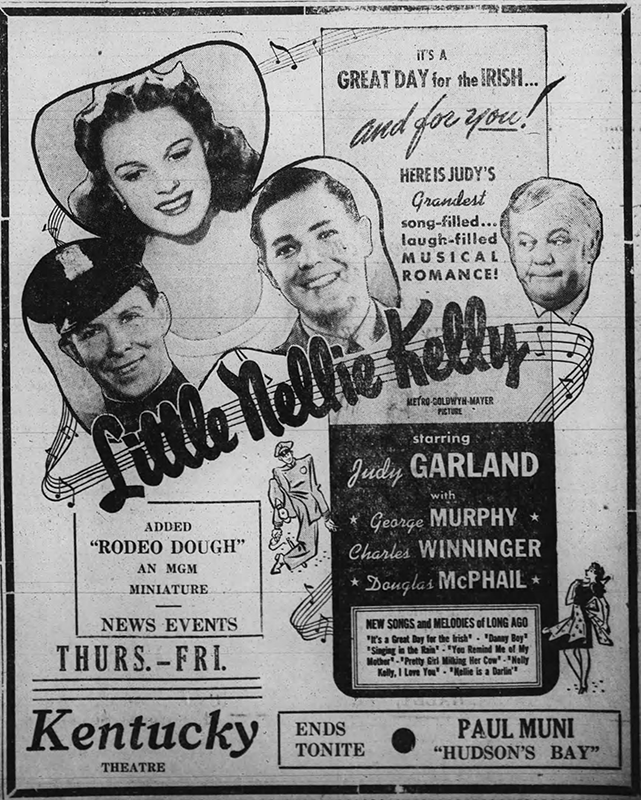 February 5, 1941: Little Nelly Kelly, released on November 22, 1940, was enjoying a good, long run. 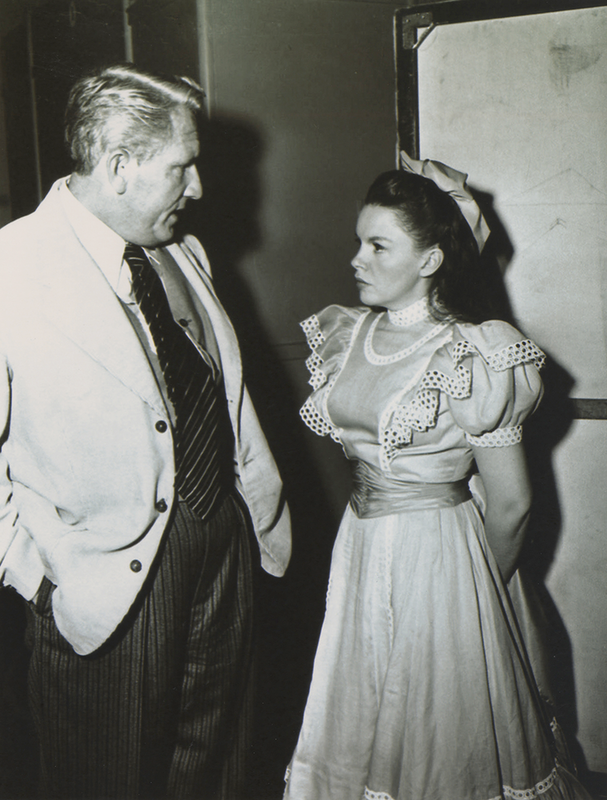 Check out The Judy Room’s Filmography Pages on Little Nellie Kelly here. 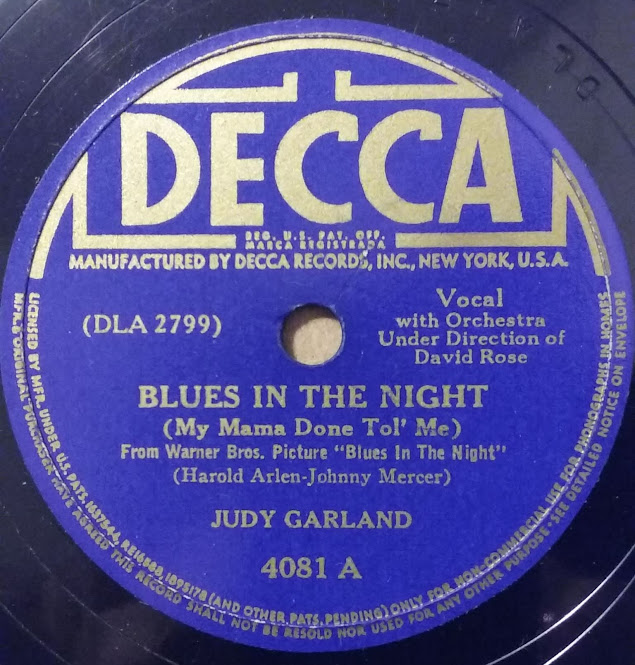 February 5, 1942: Here’s an ad from Decca Records that promoted three different versions of the recent hit song, “Blues In The Night.” Judy recorded her version of the song on October 24, 1941. 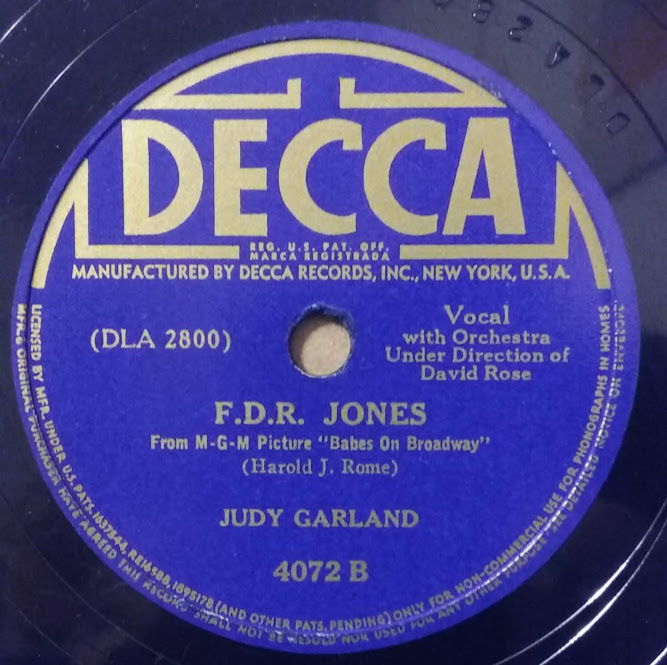 The song was on the “A” side of Decca Record #4081, with “FDR Jones” (also recorded on October 24, 1941) on the “B” side. Label images from the Rick Smith collection. Thanks, Rick! 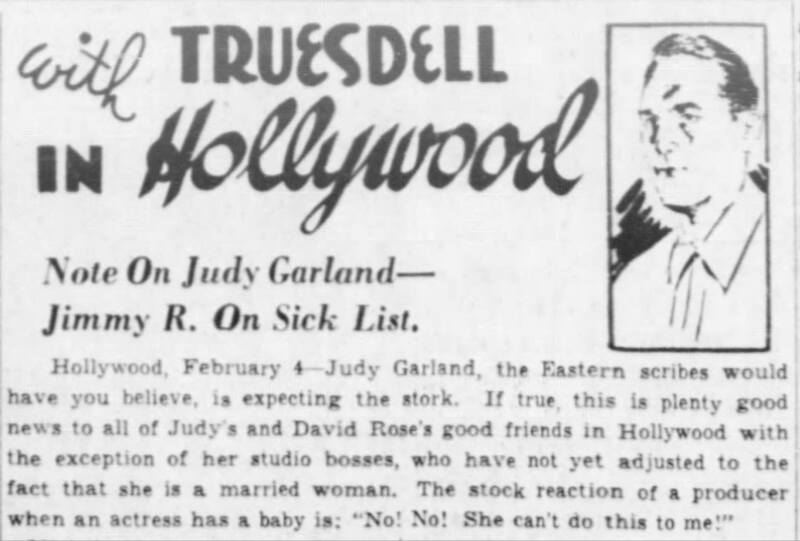 February 5, 1942: The rumor that Judy was pregnant made the columns. It’s now known that she did indeed become pregnant while married to David Rose and was convinced by MGM (and allegedly her mom) to get an abortion. Allegedly when he found out that Judy was pregnant, MGM boss Louis B. Mayer screamed, “That baby can’t have a baby!” See yesterday’s entry. Meanwhile, that papers were still reporting Judy was home with strep throat. This could have been a ruse cooked up by the studio. She might have been recovering from the abortion which would explain the need for a two-week rest on doctor’s orders. 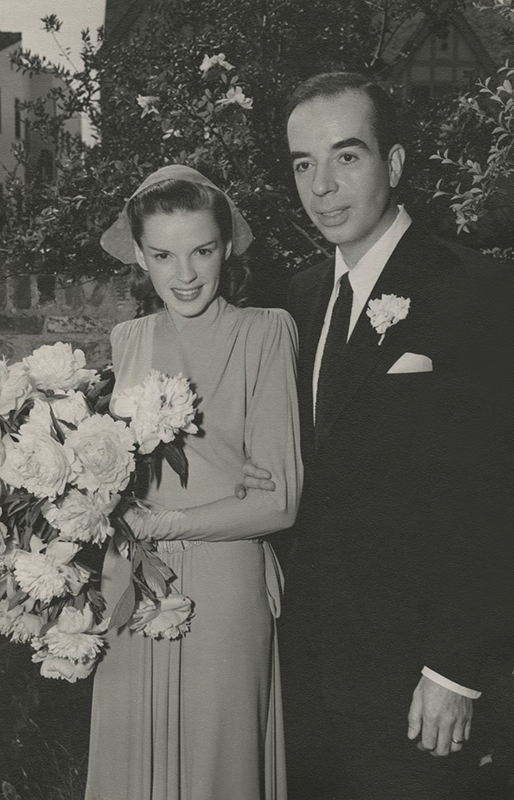 February 5, 1945: Columnist Harrison Carroll reported on the upcoming marriage of Judy and second husband Vincente Minnelli. Carroll wasn’t too far off in stating the ceremony would be in July. 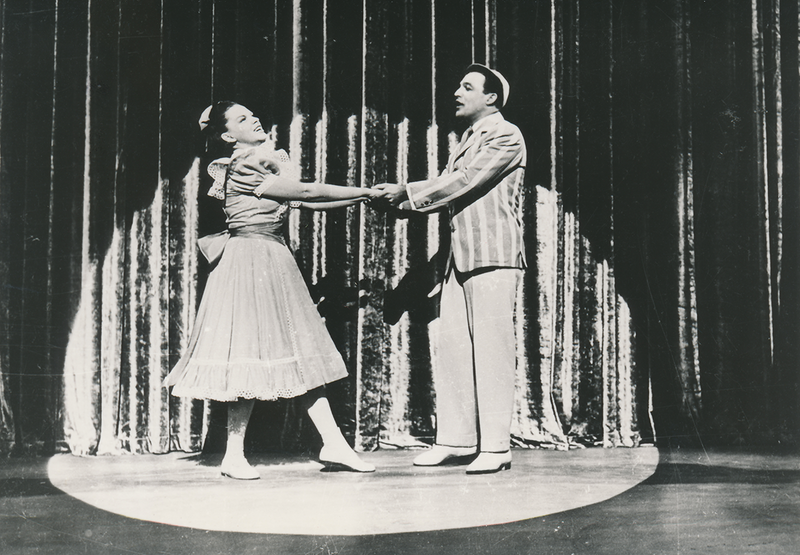 The couple was married on June 15, 1945. On this day at MGM Judy had wardrobe tests. 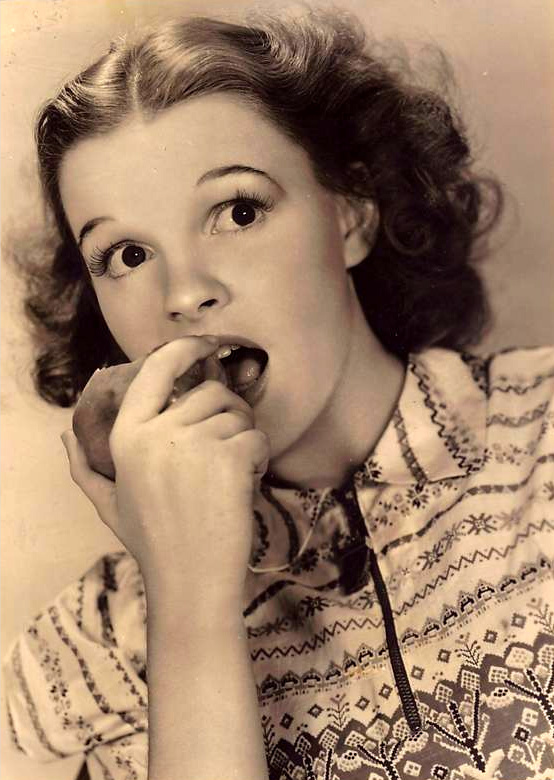 She was due on the set at 10 a.m.; she arrived on set at 11:40 a.m.; times dismissed: 4:20 p.m.
February 5, 1948: The second of a rare two-day break for Judy at MGM. 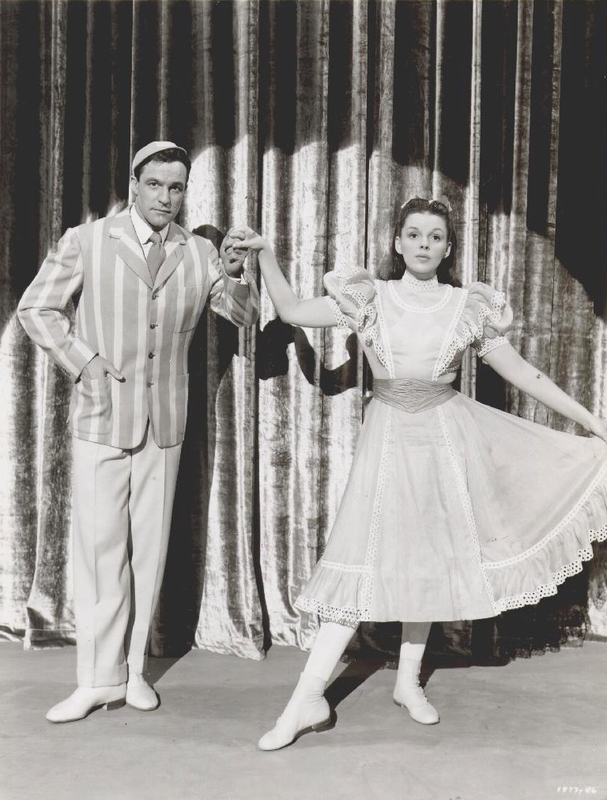 She wasn’t needed for any work on the film she was making at the time, Easter Parade co-starring Fred Astaire. There’s no doubt she probably enjoyed this break immensely. 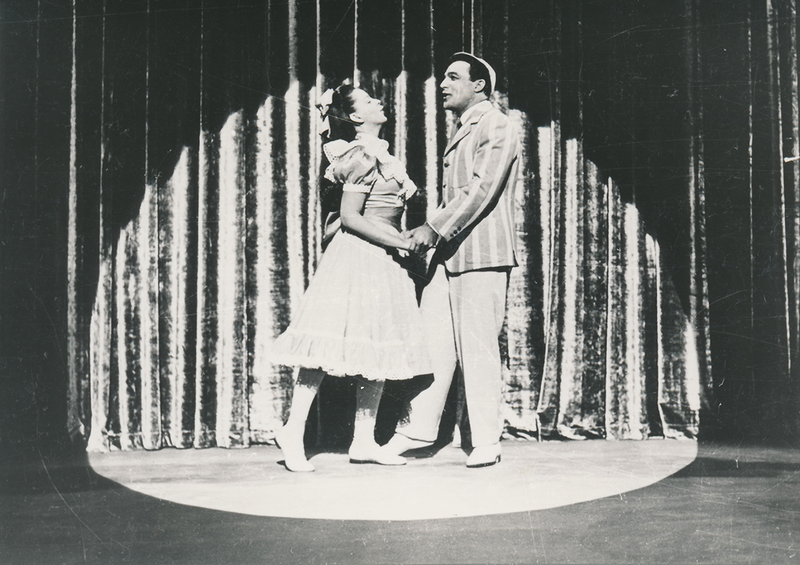 February 5, 1950: Judy and Gene Kelly filmed the “You Wonderful You” (finale reprise) for Summer Stock. Spencer Tracy happened to visit the set. 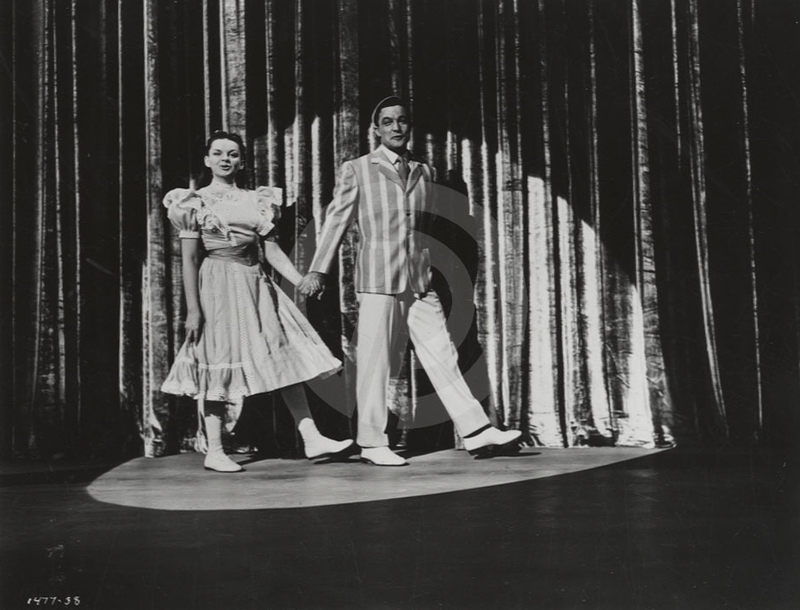 February 5, 1954: The second day of a week’s filming of the “Someone At Last” number for A Star Is Born on the “Interior Malibu Home” set. 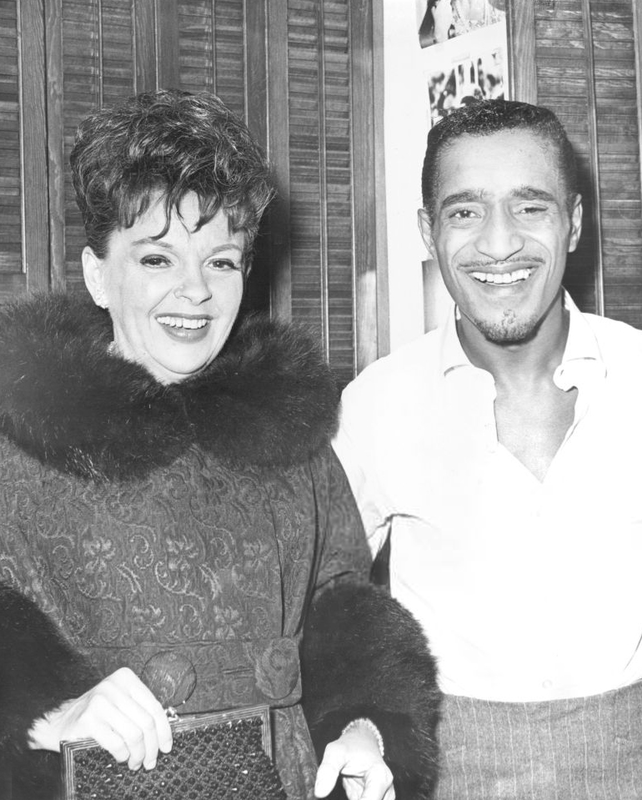 Time started: 10 a.m.; finished: 6:15 p.m.
During the month of January, Judy had been rehearsing in the evenings with her MGM musical mentor, Roger Edens, who devised much of the material. To film the number, director George Cukor used a new technique for him – and possible for a big budget Hollywood film – by shooting the number like television with two cameras filming at the same time instead of just one that would be moved to a new position after each angle was shot. This added greatly to the overall effect of the number. 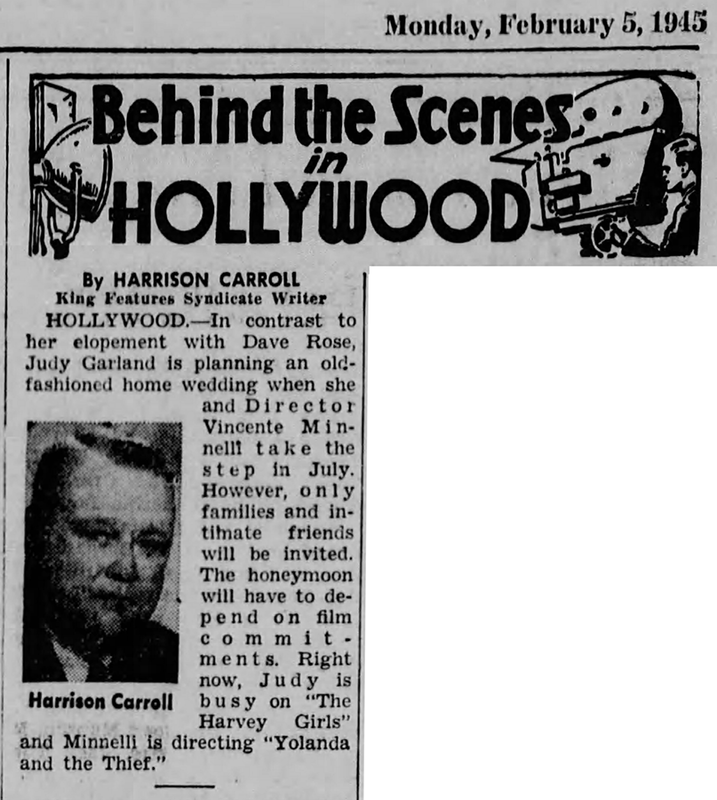 February 5, 1955: This news blurb notes that Judy recorded greetings in English and French for the British and French premieres of A Star Is Born. Those recordings are not known to exist. February 5, 1956: This photo of Judy with Frank Sinatra at the Los Angeles premiere of The Man With The Golden Arm (December 26th) ran in the photo features of some newspapers. It was common for photos from events to show up in various papers for months (or more) after the event took place. 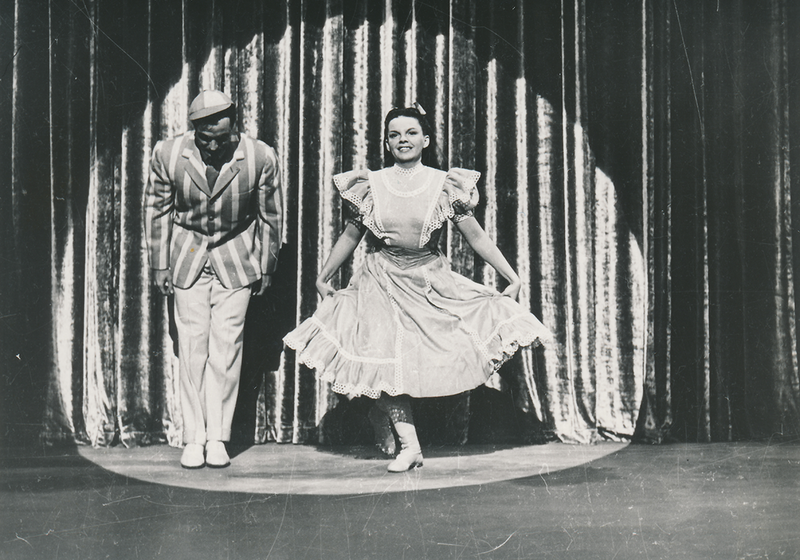 This was Judy’s first TV appearance taped in the US – and her first on CBS – since the end of her series in 1964. The show aired on February 5th and was a success. Judy allegedly received $7,500 for her appearance. 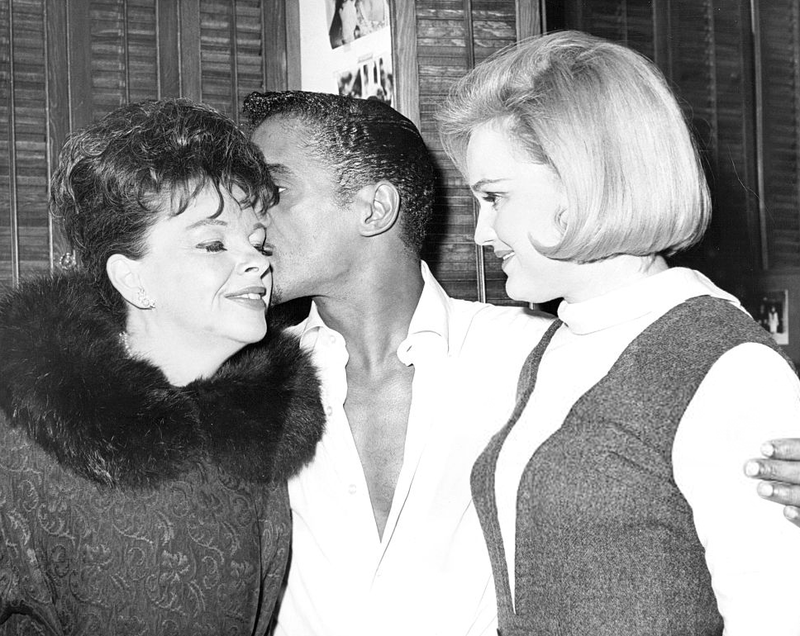 Also on February 5th, Judy went to a performance of the Broadway musical “Golden Boy” and was photographed backstage with the show’s stars Sammy Davis, Jr., and Paula Wayne.